The promotion of international exchanges for students to obtain international experience and intercultural competence is a declared aim of the internationalization strategy of the TUB. For the growing number of students and doctoral students exchange programs, international Master's degree programs and the Double- / Dual Master's programs will be further expanded. Since 2001, the tub is under the TIME network (Top Industrial Managers for Europe), an association of top-class technical universities in Europe, involved in the development of demanding curricula. This contributes to the development of TUB towards an excellent research and study location. 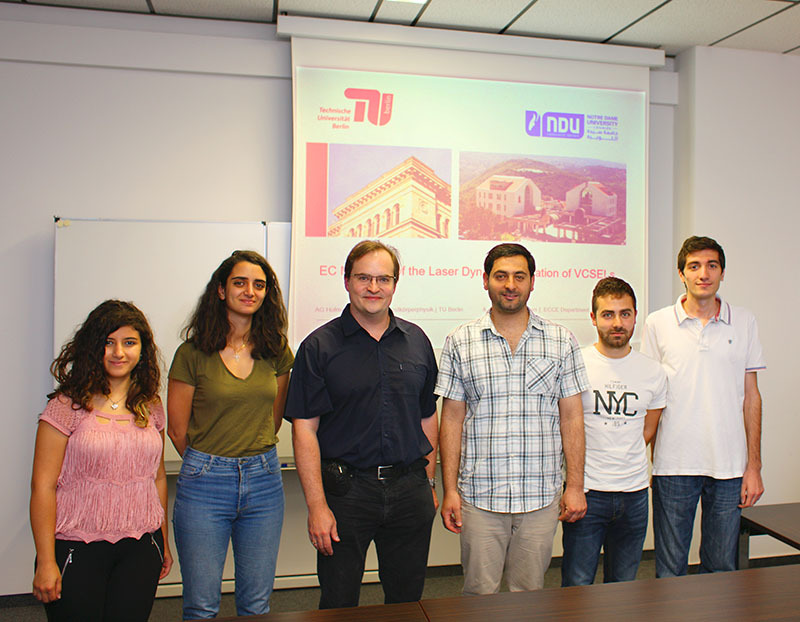 The ERASMUS+ mobility project with the Notre Dame University-Louaize (NDU) from the partner country Lebanon deepened active inter-university cooperation of TUB in the Middle East at a time marked by deep political conflicts in the region. 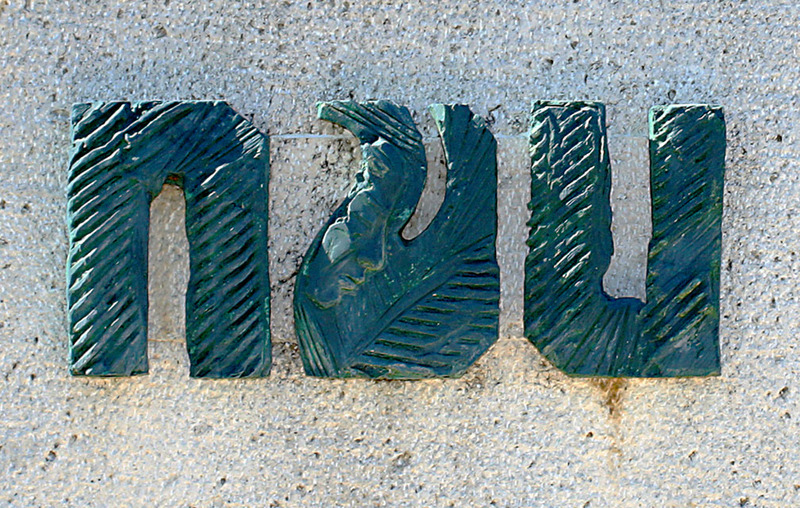 The NDU is a politically independent leading university in Lebanon with many years of international relations with universities in Europe, particularly in France and Germany. The declared aim of the internationalization strategy of the NDU is amplified to cooperate in Europe with German universities for scientific deepening of teaching and to improve laboratory practice in teaching. The aim is to strengthen the professional skills of students in bachelor and master degree programs through scientific laboratory practice, in particular in connection to relevant research topics and projects. 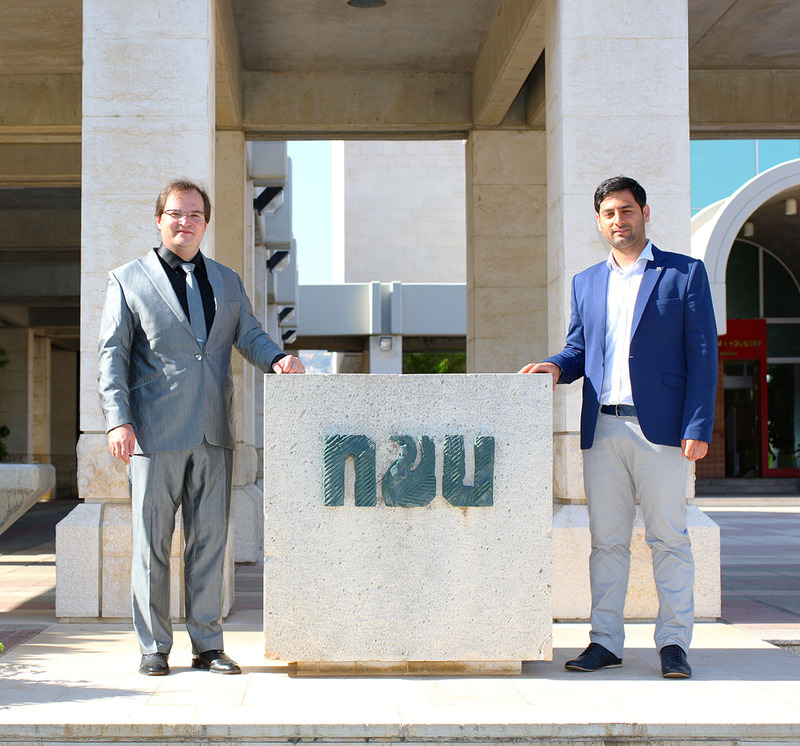 Prof. Hofmann (Project Cooridinator), and W. Hamad (TUB) at NDU, Lebanon. Prof. Hamad introducing the NDU campus to the visitors from TU Berlin, Germany. Kick-Off meeting with Profs. 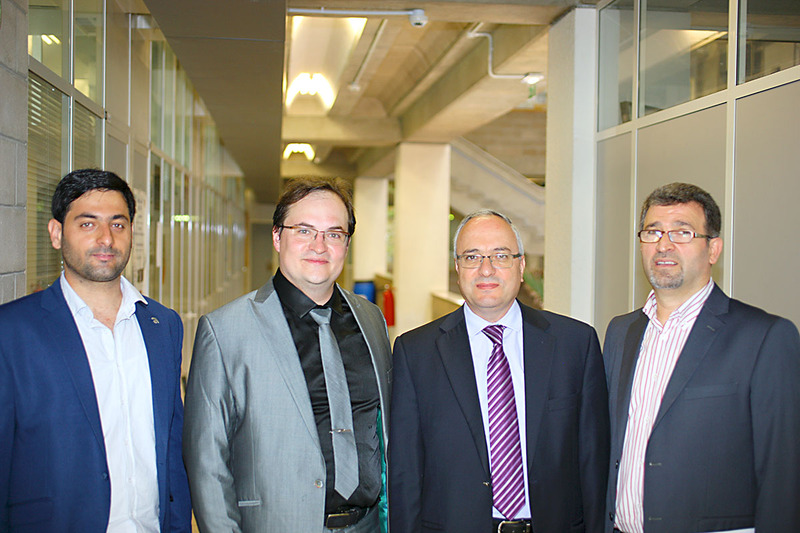 Hamad, Hayek (Dean), Hofmann (Project Cooridinator), Georges (Chair) and W. Hamad (TUB). 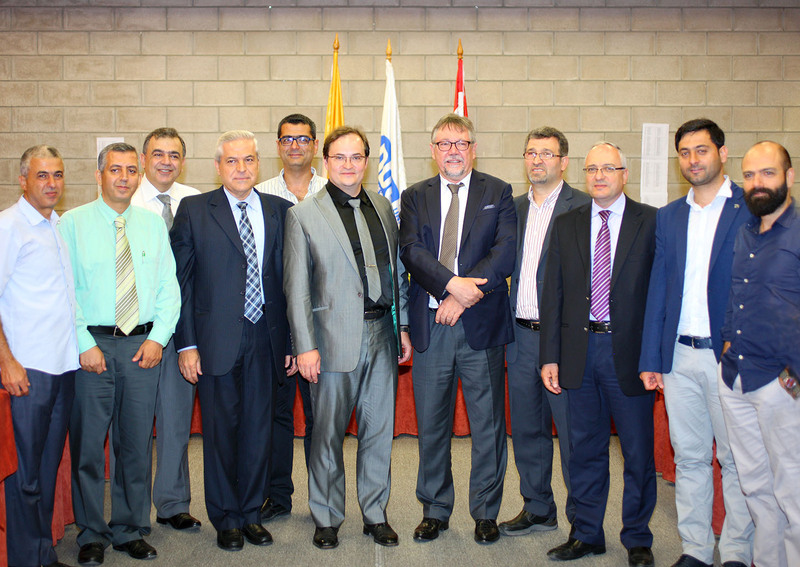 The kick-off meeting was attended by representatives of the International affairs department of NDU, faculty members like Prof. Bou-Sanayeh, Carlos Naffah, representing the DAAD office of Lebanon, Amer Helwani for the Erasmus+ Office and Peter Rimmele, Director in the Konrad-Adenauer-Stiftung in Beirut. Profs. 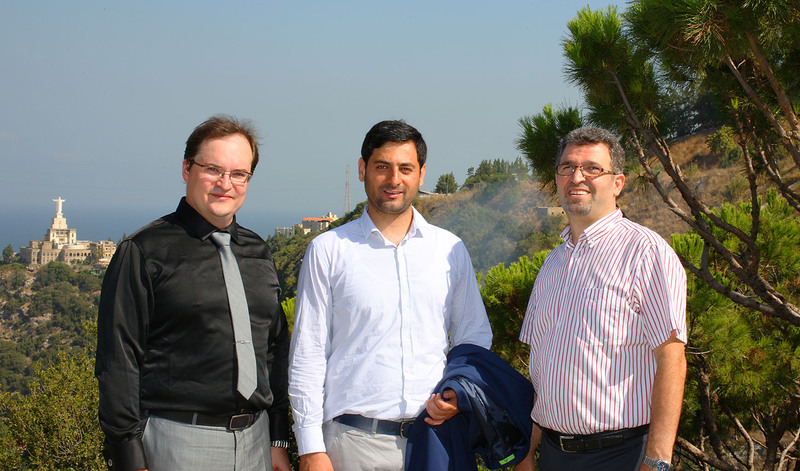 Hamad, Hofmann (Project Cooridinator), Georges (Chair) and W. Hamad (TUB) cooridinating the student exchange formalities. 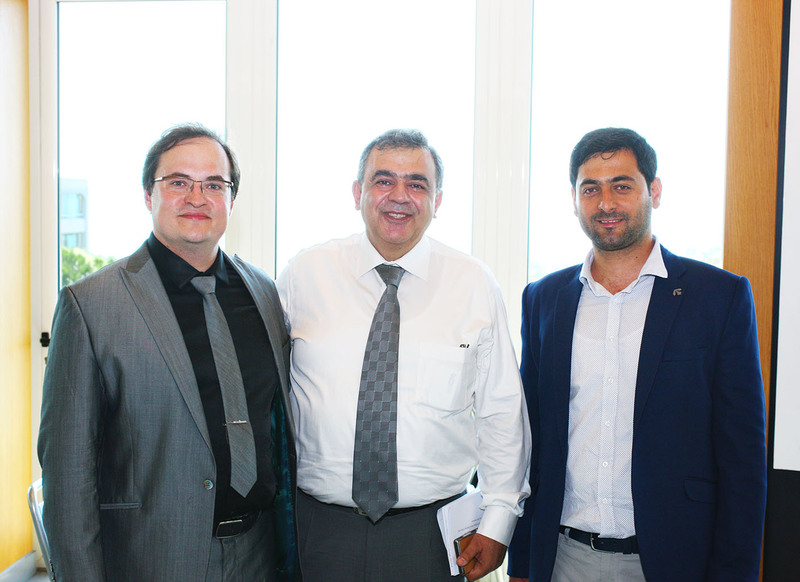 Discussion with P. Gedeon (director International relations, NDU) about the student exchange program. 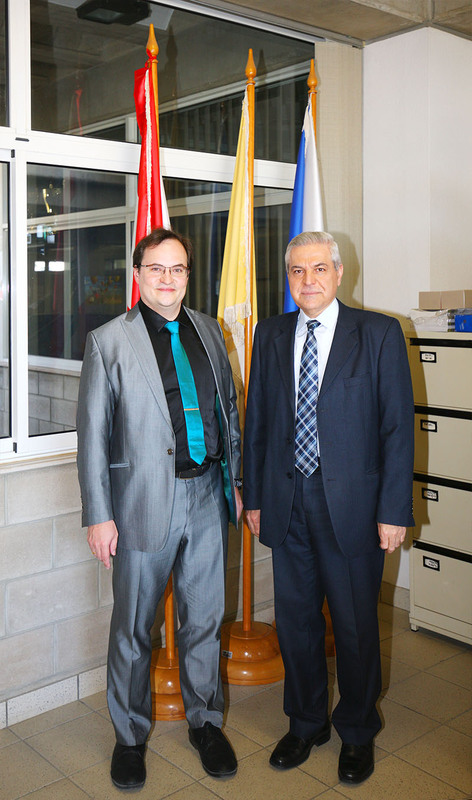 Prof. Hofmann (Project Cooridinator) and Prof. Georges (Chair) agreeing on program details. 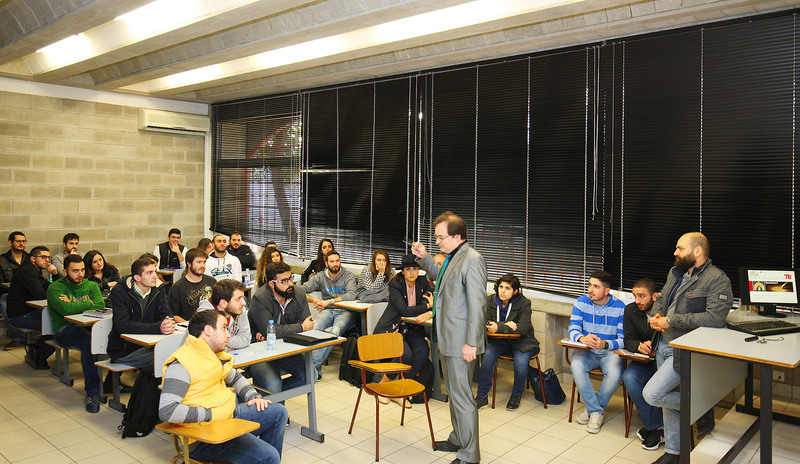 Prof. Hofmann giving lectures at NDU. Introducing the TU Berlin campus after agreeing on student exchange formalities. 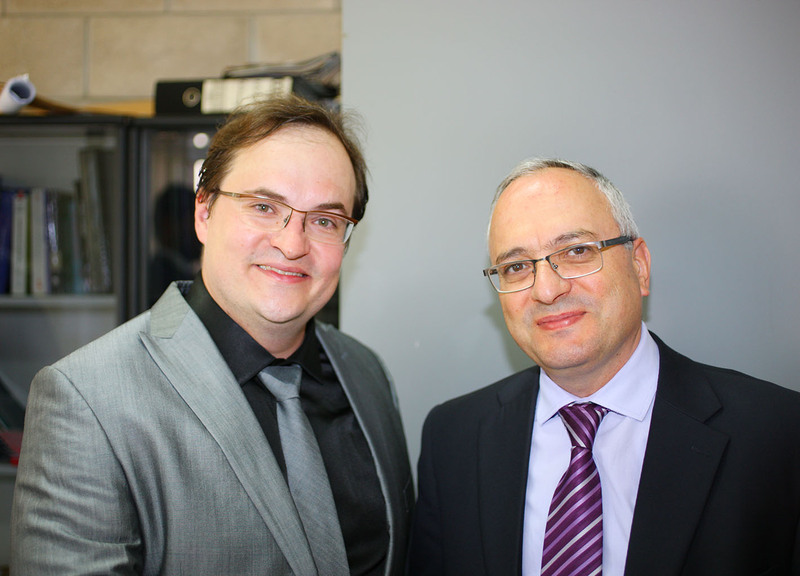 Prof. Werner Hofmann and Prof. Dr. Michel D. Hayek, Dean, NDU discussing about the PHOENICIA project. 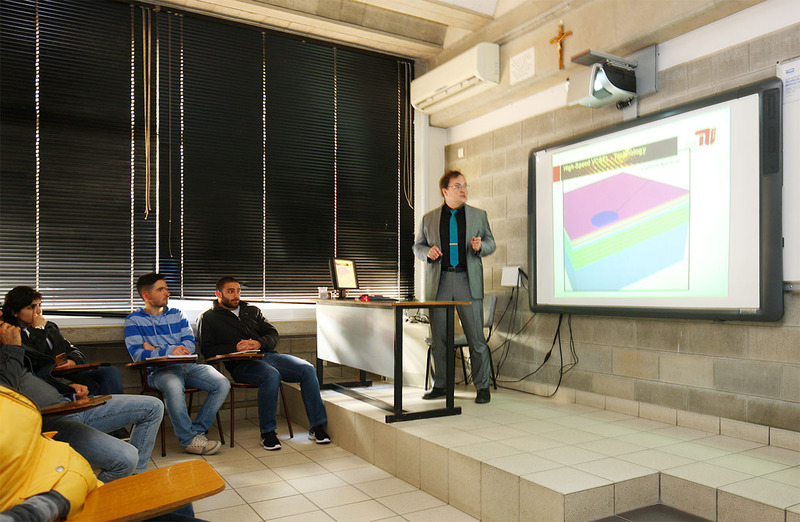 Prof. Werner Hofmann teaching applied optoelectronics at NDU. 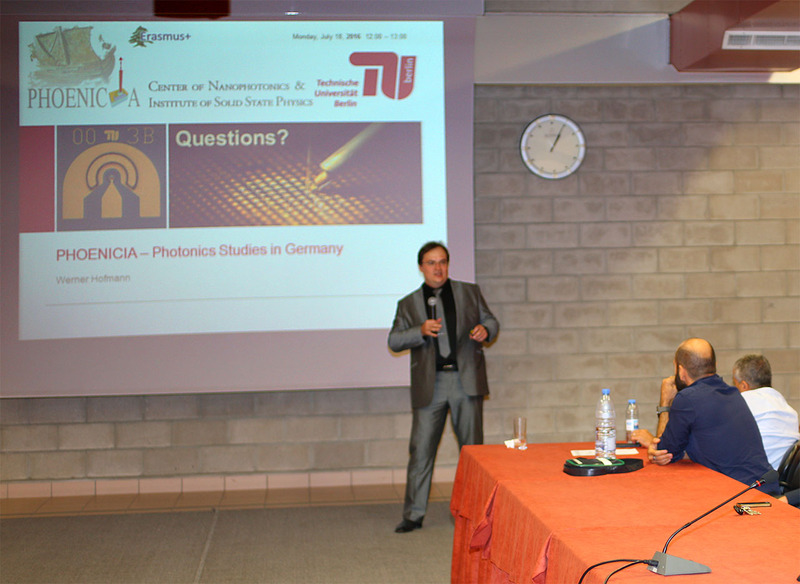 Prof. Werner Hofmann discussing with the students after the applied optoelectronics class. 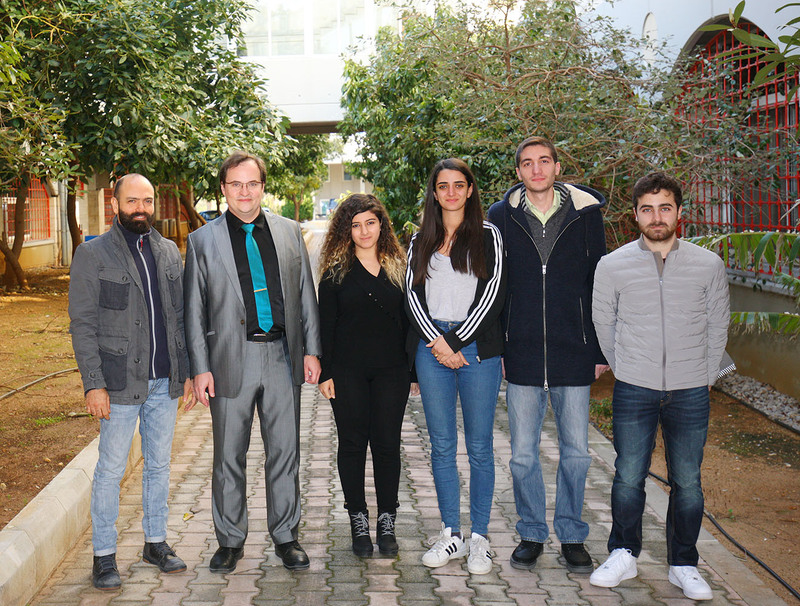 Prof. Werner Hofmann with the selected grant fellows: Prof. Marwan Bou Sanayeh, Nataly Dalal, Serena Bou Nassar, Elio Nakhle, and Oliver Daou preparing for their Erasmus+ mobility to do studies in applied optoelectronics for three months at TU Berlin, Germany. Elio Nakhle, Serena Bou Nassar, Nataly Dalal, Oliver Daou, Prof. Werner Hofmann, Prof. Semaan Georges, Prof. Marwan Bou Sanayeh and Wissam Hamad discussing travel formalities. 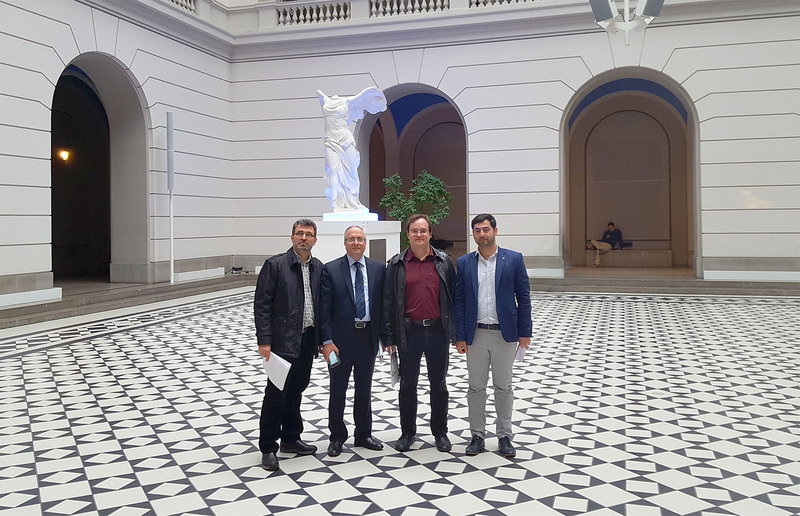 Nataly Dalal, Serena Bou Nassar, Prof. Werner Hofmann, Wissam Hamad, Oliver Daou and Elio Nakhle at TU Berlin presenting their project results. 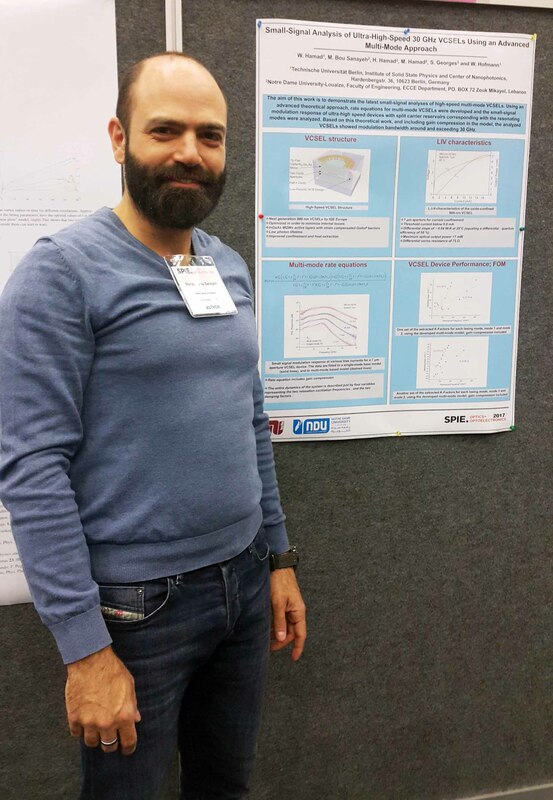 Prof. Marwan Bou Sanayeh presenting the joint research outcome of NDU and TUB at the SPIE Optics and Optoelectronics conference 2017 in Prague, Czeck Republic. 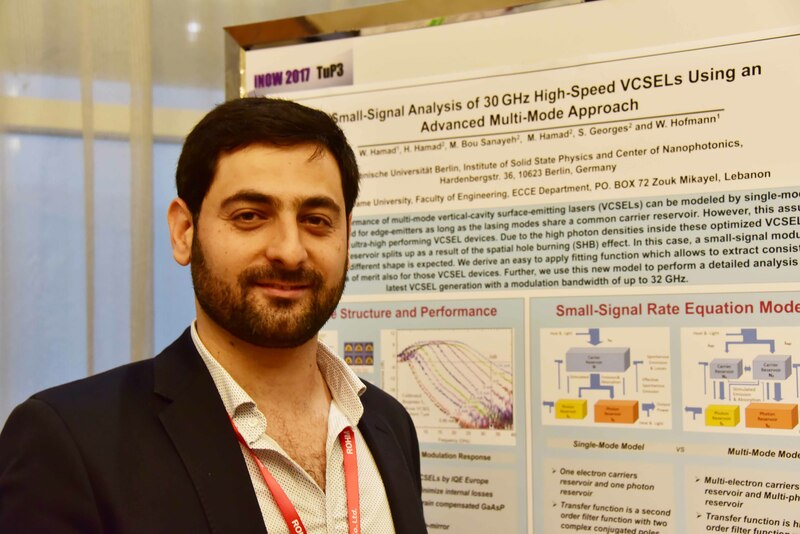 PhD candidate Wissam Hamad presenting the joint research project of NDU and TUB at the iNow conference 2017 in Tianjin, China. 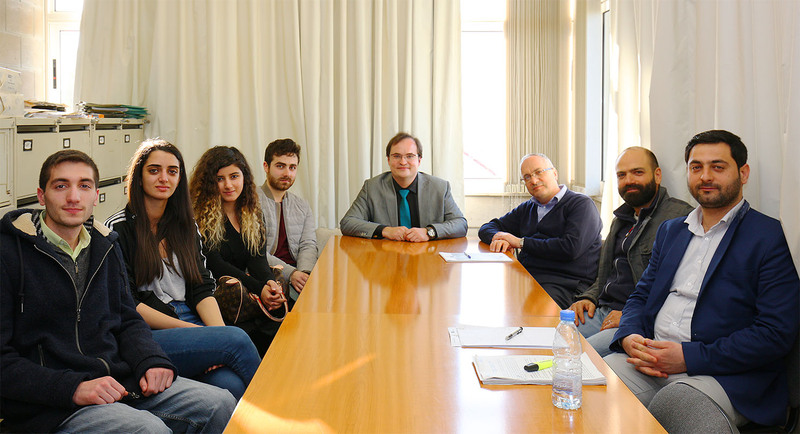 At the invitation of the DAAD, a delegation of high-level Lebanese university representatives visited TUB in October 2017 for an information and exchange meeting about the successful Phoenicia Project. The aim of this visit was also to give the university representatives an insight into Germany's university and research landscape and thus to create the basis for a new and sustainable cooperation. The Delegation after an informative meeting. 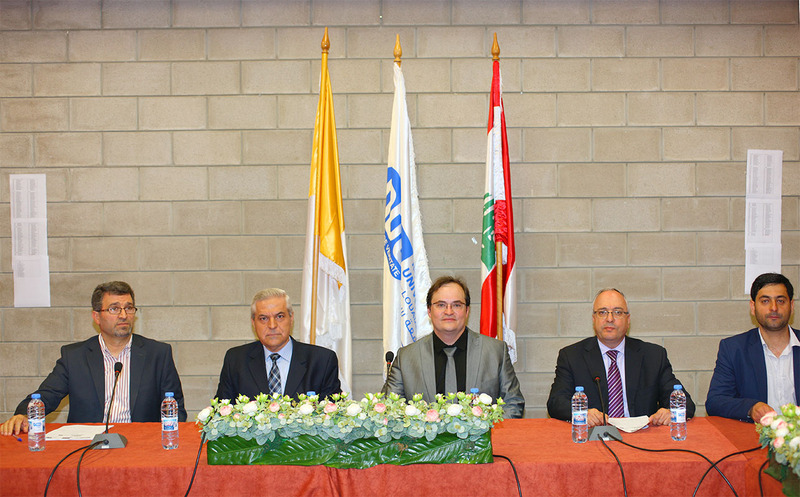 From right to left: Prof. Dr Salem Elise (Development and Enrolment, Lebanese American University), Dr Dany Mezher (Director of National Institute for Communications and Informatics, Saint Joseph University), Prof. Dr Adel Khalife (Professor at the Faculty of Law,Lebanese University), Prof. Dr Ahmad Smaili (President of Rafiq-Hariri-University), Dr. Ghazi Asmar (Director of International Relations, Notre Dame University), Prof. Dr. Werner Hofmann(TUB), Prof. Dr Fouad Ayoub (President of Lebanese University), Prof. Dr Hala Ghali- Muhtasib (Provost at American University of Beirut), Dr Tamara Elzein (Director of the Doctoral Fellowships Program - Lebanese National Council for Scientific Research CNRS-L), Prof. Dr Hania Nakkash-Chmaisse (Dean of Postgraduate Studies and Research,Beirut Arab University), Ms. Bahar Sayaas (Head of DAAD Information Centre Lebanon), PhD candidate Wissam Hamad (TUB).